Sahaja Yoga programs in Puzal central prison, Chennai,India, 11/02/2018. "Mr. Joshi, Mr. Ramesh and myself entered the cell and were received by Dr. Shankaran the RMO of Puzhal Prisons with open hands and heart filled with Love and Compassion. He told us with all excitement that 300 inmates of the Prison are being released under the Amnesty Scheme. He told us that we should continue and see that all the other inmates also achieve the same benefits. As we entered the Prison I meditation hall, we started balancing exercises and meditation. So joyous was the feeling within. After the session was the inmates were filled with joy. The Leader amongst them said we were the only people who were able help them achieve the joy and peace within. He further informed us about the Release of 300 inmates on the 25th of February in the presence of VIP's and Ministers. Under the Amnesty Scheme the Government is providing them with funds and facilities to set themselves a future. He told us that this the first time such a Scheme had been introduced. He said that he himself is not able to believe that so many inmates are getting this relief. This is something which we can Learn: simplicity and true love can really make a difference." The 21 March 2016, from a maximum security jail, from Lanciano (Abruzzo region) the Italian Sahaja Yogis celebrated the "Inner peace day" along with the prisoners and all jail staff, teaching them sahaj meditation. Rai1 is the main tv channel in Italy and they did this video. We were already performing sahaja yoga meditation programmes in the jail of JALGAON (north of the state of Mumbai) in INDIA. While discussing with prisoners about their problems, we told them to keep their attention on SAHASRARA, on their Energy on top of their head, as SHRI MATAJI taught us. This when they face a trial. They then told us they got good results doing this. The first positive effect of Sahaja Yoga Meditation for beginners, is their feeling of peace. It is the main subject of 90% of the testimonies of prisoners from Tihar (Delhi) in India. After doing Sahaja Yoga meditation, my internal thoughts calmed down. I have gained an insight to identify my enemies inside. I have asked that my divorce should come through. I received a lot of power inside myself. I felt that if one wants to live with peace and happiness Sahaja Yoga is the way. It will not only bring peace but also improve my life. Will start from today. Felt peace of mind and felt very good. Whatever I wanted I have go it. I not only felt happy and peaceful, but a part of my mind was swinging with Joy. Is there anything left to ask for? I felt very good. I would like to continue doing Sahaja Yoga daily after going out from here. Felt also a strange kind of peace in my heart. And whatsoever wish one has gets fulfilled. The day I go for Sahaja Yoga, I get peace of mind and happiness. I would like to do Sahaja Yoga daily. After going out from here I will go to Sahaja Yoga Centre. Today I felt cool breeze coming out of my hands and also peace of mind. Felt peace of mind and love towards others. Want to get rid of my bad habits and organise my personal life. I find peace and calm during Sahaja Yoga and hope that even after going out from here, will continue to get blessings through this kind of meditation. Today was my third time in Sahaja Yoga. I felt cool breeze coming out of my hands. Also felt warm air coming out of my head. Will continue this after going out. Feel very good after going to SahajaYoga. Don’t feel good when I am not doing Sahaja Yoga. I felt for the first time today during Sahaja Yoga that it is energy. Want to devote more time to this this subject and would like to put it into practice. Felt good after going to SahajaYoga. Got this wonderful chance. SahajaYogis are teaching good things. I thank them from my heart.. I found a lot of peace while practicing Sahaja Yoga. My mind became peaceful and I felt some sensations on the palms of my hands, sometimes cool and sometimes warm. I want to practice daily and I want to continue even after going from here. Here are extracts from letters of inmates who have started Sahaja Yoga Meditation in their prison in India. I felt very good after doing Sahaja Yoga meditation. Today I felt the cool breeze flowing through my hands. During Sahaja Yoga, I felt a small jolt in my spine and I felt some trembling and strong vibrations in my hands. All the stress vanished from my mind. I felt a cool sensation in my hands and body during Sahaja Yoga. My mind became calm and peaceful and I felt my soul was satisfied. During Sahaja Yoga I felt heat coming out of my head. I felt cool in one hand and warm in the other. I felt peace in my heart. I felt cool in my hands during Sahaja Yoga. I got peace of mind. I will like to request everyone to practice Sahaja Yoga. One gets rid of physical ailments by doing it. I have been doing Sahaja Yoga for the last two days. I felt my right hand was hurt. As I went into meditation, I felt a pulsation in my right palm just like a heart beat. Soon after that I started feeling coolness in both my palms. I felt that something special is there. During Sahaj Yoga today I felt cool breeze in my hands and warm breeze above my head. This was my second day and am feeling that I will go to this meditation daily and hope I will be successful in my endeavour. Felt good during Sahaja Yoga. Felt cool breeze in my hands and head. I felt heat on my hands and some warm steam-like feeling in my head. I definitely got peace through Sahaja Yoga meditation. I felt countless flames on top of my head during Sahaja Yoga meditation. And I felt the peace in my inner being. During Sahaja Yoga meditation, when I kept my left hand over my head I felt as if there is a warm air flowing from my head. Sweat came out from my right hand. Then, my left hand became lighter and I felt better. I have been inspired by today’s session of yoga and will follow the practices daily. I have given up the commotion I had and I feel much better. The thoughts of my household were worrying me for the past 3 years .But after my Kundalini be awakenen, my worries all vanished . I am now so calm. Last Friday we went to a prison for young criminals with medium and heavy crime degrees. We were 15 yogis from Moscow and neighbouring cities. We were met by very pleasant staff member who was very positive about the program. Before we had an agreement with the prison staff that we will not speak and we will only sing. But when we came there the staff members asked us to tell everything what we know about spirituality. We had 30-40 prisoners on the program. The atmosphere was not tense at all; on the contrary the atmosphere was very kind and almost homely. We wanted to start our program with Russian songs but we changed our plans and started to sing Indian devotional song called bhajans. We felt that eyes of prisoners and staff members started to sparkle. Some prisoners wanted even to start dancing but they were not allowed of course. After second bhajan we started to speak about kundalini and Sahaja Yoga meditation. We conducted self-realization protocol and we had a feeling that many of the prisoners accepted Sahaja Yoga meditation in their hearts. The program was scheduled to take one and a half hours but when we asked how much time is left the staff told us to continue program ignoring time limits. Then we stopped the program. When they were going out of the hall many of them were thanking us from their hearts ; it was very pleasant. The prison staff members invited us to come back to conduct meditations. Here are some testimonies of inmates who started Sahaja Yoga Meditation in India's jails. I got a lot of peace of heart. Whomsoever has wronged me I have forgiven everyone, I have forgiven myself also. I will never make a mistake again. Many thanks to you Shri Mataji! Sahaja Yoga is a Miracle. Sahaja Yoga meditation taught us that we should forgive our enemies so I forgave my enemy with whom I had a fight and because of whom I was sent to jail. And after doing Sahaja Yoga and forgiving my enemy from the bottom of my heart, I was given immediate a result. By taking to Sahaja Yoga meditation, I felt really nice. I pray God to settle in my Heart and shower me with Love. I forgive all those who have erred against me. My heart knows only the love of God. I felt wonderful in Sahaja Yoga when I was meditating today. And when I said, “I forgive everyone”, then I felt God said, “Son, I forgive you too”. I felt as if something is coming through my hands and I got peace in my heart. Prior to my entry into Sahaja Yoga meditation, I had a thought that when I get out of Jail I will take revenge with my enemies. However, after doing Sahaja Yoga today, I took a decision that I will forgive forever and lead a good life when I shall go out of jail. Today’s Sahaja Yoga experience impressed me a lot and feeling of revenge left me. 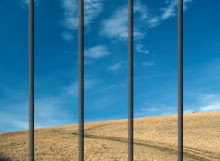 I felt peace of mind and joy and desire in me arose to leave the act of punishment unto God. I felt great peace here in SahajaYoga. I have forgiven all those who have been bad to me. I felt great peace in my heart here in SahajaYoga meditation. I have forgiven everyone and myself also. When I went for SahajaYoga today, I felt cool breeze coming out of both my hands. 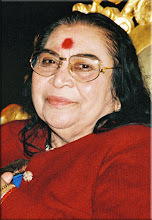 My desire is that where ever I may go, I should go for Sahaja Yoga daily. I felt great peace in SahajaYoga meditation. I have forgiven all those who have been bad to me. Since I have been going to SahajaYoga , I have been feeling more and more peace daily. I have forgiven all those who have been bad to me. And I have forgiven myself also. I have even found a good friend in SahajaYoga. My mind was disturbed before coming to Sahaja Yoga. But when I requested for forgiving everyone, feelings of jealousy and revenge in me were dissolved. I was very uneasy in my heart since the day I came to police custody and I started fearing a heart attack. But I felt a lot of relief in my mind on coming to Sahaja Yoga. When everyone was meditating with closed eyes, my eyes opened and I felt so cold in my right hand as if there was an ice-cube. This happened when I said : “I have forgiven everyone”. I felt very happy after that ; and I am feeling as if I have got something. The feeling of revenge has also left my heart. When I started meditating during Sahaja Yoga, my head was heavy. As we were asked to forgive everyone, I said ‘God, please forgive those people who have harmed me’. As soon as I said this, my head became lighter and warm air blew out of my left hand. I want to continue doing this Sahaja Yoga. Theirs testimonies show that Sahaja Yoga Meditation helps them to go beyond these feelings. Today, from the meditation at Sahaja Yoga centre I got a lot of peace and my heart became joyous. I got rid of my mental problem and bad feelings. The hatred I had in my heart towards someone changed into love. After going out I will practise Sahaja Yoga daily. I felt very good doing Mother’s Sahaja Yoga. I felt cool in both my hands and felt as if all the weight on my spirit was released. I have given up hatred and realised that greatness lies in loving only. I got a lot of peace of mind since I listened to Shri Mataji’s lecture. Whatever malice is there in my heart and whatever bad habits I had I surrender them to God. I will keep on meditating with full heart and sincerity daily. I have forgiven everyone, there is no foe of mine in this world. I realised after listening to today’s discourse that it is best to leave everything on the divine power. All anger and arrogance finished in my mind and all the malice in my heart was cleared. Feeling of revenge and anger were increasing day by day in me. I was becoming aggressive and rash , because of which I had to come to jail. But after doing Sahaja Yoga meditation, all these qualities subsided and I became peaceful. I have no more feeling of revenge in me. The past three days since I joined Sahaja Yoga meditation, I have felt all my hatred being nullified into compassion. I just don’t understand but its so wonderful. Due to today's discourse of Shri Mataji, I have removed the hatred from my heart. Have compassion for others and get compassion from others. To live and to let live is how I feel now. My thoughts have transformed and I will practice Sahaja Yoga and uproot hatred completely from my soul. When I sat for Sahaja Yoga meditation, I had a lot of anger in me. But after listening to the talks of Shri Mataji, my anger got cooled down and there was no feeling of revenge left in me. When I think of the person because of whom I was sent to jail, anger rises in me. But when I meditate, my mind becomes peaceful. After coming to Sahaja Yoga meditation, whatever revengeful feeling I had in me, left me and my agitated mind became peaceful. Just sitting for one hour has given me so much peace. If I do SahajaYoga for one month, I will become absolutely peaceful. Within a few days we will start emanating sparks of Humanity and Kindness from our hearts. I will go again and again to Sahaja Yoga meditation. Thank you. During Sahaja Yoga courses, I got peace of mind and my restlessness finished off. The feeling of revenge which was flaring in my heart also calmed down. I left to God the problem of the ill-treatment and torture done to me. I want to continue practicing Sahaja Yoga even after going out of this jail. Today during Sahaja Yoga I experienced the effect of this meditation and felt peace of mind and happiness. I gained knowledge about Sahaja Yoga meditation. During the practice, mental tension, feeling of jealousy and revenge underwent a sudden change. I felt good after sitting in Sahaja Yoga room. My heart became full of peace. The feeling of revenge left my mind. We should be peaceful and loving towards everyone. I felt cool in my hands and in my mind. Earlier, I was confused and mind was not at peace. After listening to Shri Mataji’s talk, my mind became peaceful and I understood what was being said. I will try to wake up my common sense and will not fight with anyone. Today, discourses of Shri Mataji have completely transformed my mind. I don’t feel any hatred anymore .It is such a nice feeling. I am now onwards going to be well wisher to everyone. One of the benefices of Sahaja Yoga meditaiton is to get rid of stress. During Sahaja Yoga courses, I felt a small jolt in my spine and I felt some trembling and strong vibrations in my hands. All the stress vanished from my mind. My mind became peaceful and stress-free. I got a lot of bliss and I liked Sahaja Yoga a lot. I felt a sweet itching-like sensation in my hands and I got some knowledge. I felt very peaceful. Thanks! I felt very good after coming to Sahaja Yoga. First I felt the circulation of blood in my hands and then I felt a little warm. I got peace in my heart and relief from stress. I got peace from Sahaja Yoga Meditation. My entire mental disturbance has vanished. I’ve got rid of stress. My mind and heart have got peace. I got a lot of peace from Sahaja Yoga. I will do Sahaja Yoga after returning home also and will tell my friends about it also. I have got relaxation in my thoughts on doing Sahaja Yoga. I go daily to the sahaja Yoga meditation and daily there is some change happening in my mind. I felt peaceful in my heart. A lot of changes occurred in my body.